Despite the fact that most of the spinoff Metal Gear games are good in their own right, they just don't get me excited the same way the mainline console editions do. Every core Metal Gear entry has something new, and offers up some sort of revelatory storyline event that has fans talking for years on end. Metal Gear Solid V: The Phantom Pain is no exception. Phantom Pain opens up with a brutal playable sequence that sets the tone for the game. 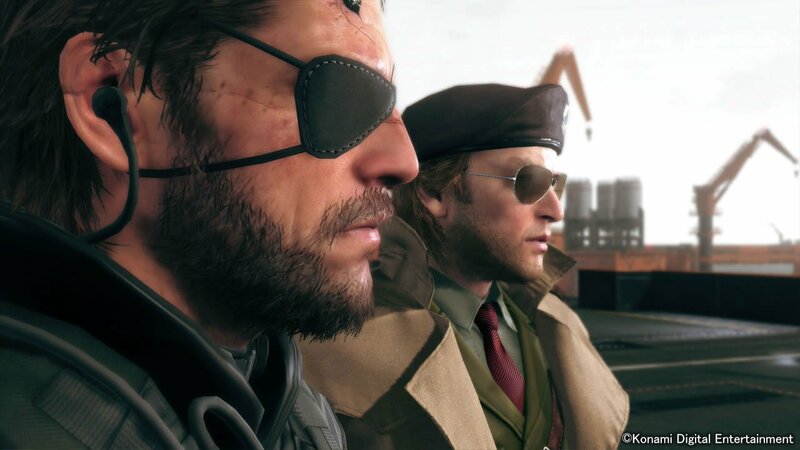 Big Boss has woken up after a nine-year coma, and just in time, as an elite infantry unit has invaded his location, ready to kill anyone and everyone just to get to him. Looking back on this opening, it's amazing to see how well thought out everything is in Phantom Pain -- there is very little wasted time. This rapid fire mentality shines throughout the entire game. No longer will you spend hours listening to two portraits talk back and forth via codec. Instead, it's all done through a radio seamlessly integrated into regular play. David Hayter's endless monologues are eschewed for Kiefer Sutherland's more deliberate interjections, and as a result, the entire experience has a very different feel to it. That's not to say there aren't some classic conventions present, or that Kojima has abandoned his roots. There's still plenty of silliness that ensues, crazy mutated boss fights, tons of robots, and Easter eggs for days. It's the gameplay that feels a bit more grounded this time around -- one mission even provided me with flashes of Splinter Cell, but with the obvious Kojima flair to it. The main setup involves a timeline in 1984, 11 years before the first MSX Metal Gear, in which the Soviets invade Afghanistan. 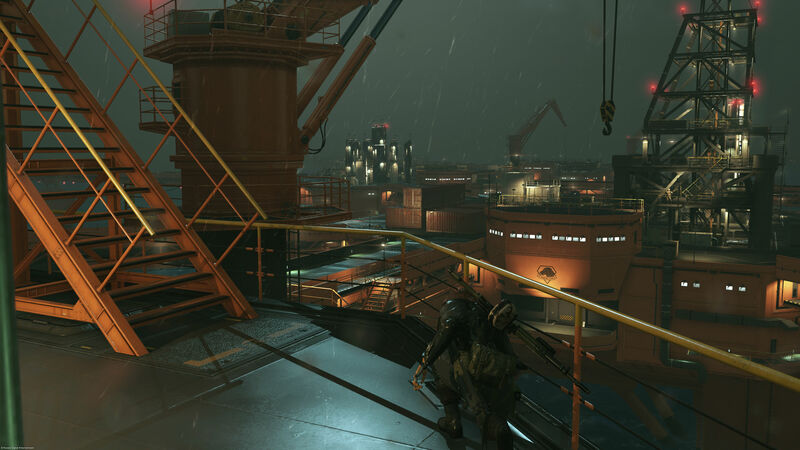 Your first job as a newly awakened Big Boss is to rescue your comrade Kazuhira Miller, and begin work on an entirely new Mother Base as the "Diamond Dogs" -- taking on Skull Face and his forces. From here, it evolves into a tale of espionage and deceit, complete with franchise-wide reveals and some breathtaking action sequences. Yep, it's still Metal Gear all right. But thanks to the advancements Kojima has made over the years refining his craft and the power of the Fox Engine, this is the biggest game yet in just about every regard. To accompany this huge shift is a suitable open-world focus, which allows you to explore a giant portion of Afghanistan, and another region I won't spoil here. 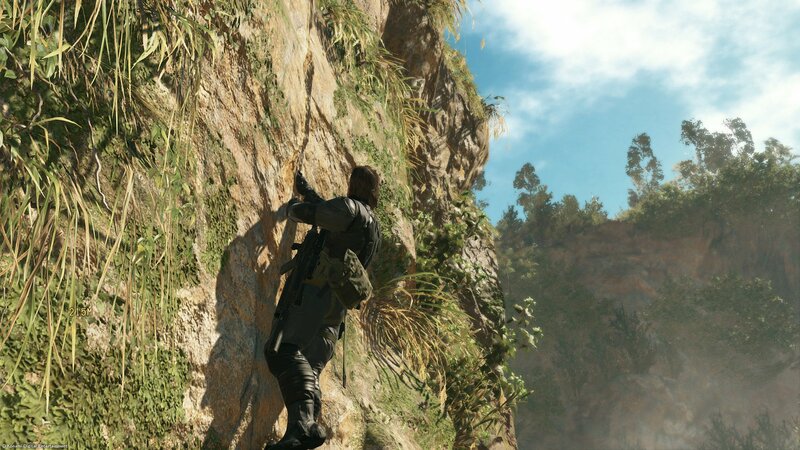 It's interesting to see a mainline Metal Gear go this route, but after a few hours, I was used to it. The principle reason I was able to acclimate so quickly is Kojima and his team have made the game fun to play almost at all times. Nearly every situation can either be taken head-on by knocking down the front door, by stealth, or any combination therein. By researching different weapons and tools in Mother Base, you'll have the option to equip hundreds of different loadout variations, and face challenges in completely different ways. For instance, I later came back to one area, took an utterly new route, and used the Fulton extraction system to kidnap an entire base -- one member happened to be a translator who upped my force's efficacy considerably. What's even crazier is how deep the customization goes. You can choose from an assortment of "buddies" (which include the horse and wolf that have been previously revealed, among a few others) to accompany you on missions, all of whom have various costumes and loadouts themselves. You can also choose to alter the appearance of Big Boss, Mother Base, and even your own support Helicopter team. If you enjoyed the prospect of switching up camo suits in Snake Eater, you'll spend hours customizing all your junk here. Mother Base is a whole different animal as well. By using the Fulton system in the field you'll slowly acquire new soldiers, which you can in turn visit at your base at any time. It's similar to the Farmville-esque Garrison system from World of Warcraft, but much more rewarding. While I usually tend to ignore mechanics like this, your crew is integrated into the game in a number of ingenious ways. New weapons rely on the R&D team's efforts, for example, and the Intel team can inform you of incoming weather, as well as nearby enemy patrols if they are sufficiently staffed. The rewards are both tangible and poignant. You can also visit some more important NPCs, partake in a few target practice minigames, hit the shower to wash off the blood of your enemies, and generally just explore the base's nooks and crannies for collectibles. As I touched on a tad, the Fox Engine renders this all beautifully. It's insane to see a portion of the game and realize that it's not a cutscene, but actually done with in-game visuals. Although I've only had access to the PS4 version of Phantom Pain, it's run flawlessly, with minimal load times and no major framerate issues during my time. Another huge thing I noticed was the impeccable sound direction, which may be the best I've ever witnessed in a game to date. It's especially delightful if you're wearing headphones, as you can hear every clomp of your horse as the wind rushes behind you, bullets darting past your head. In terms of my assessment of the plot from start to finish (which all told took me roughly 40 hours to beat), it's definitely not one of my favorite entries, but it does a good job of closing a number of storylines and providing us with a few revelations of its own. As a fan it was tough to forget Hayter at first, but Sutherland really works here, especially with how different Phantom Pain is tonally. Which again, isn't to say that it's all serious all the time, as plenty of absurd characters and storylines pop up fairly quickly. For those of you who are curious, you won't be completely lost if you haven't played previous games in the series, but Snake Eater and Peace Walker knowledge will definitely up your enjoyment of the narrative. But as satisfied as I was with the story, there are a few inherent issues with the way the missions are structured. For starters, a number of levels are uninspired, and force a degree of backtracking, usually for a menial task you've already completed multiple times. This is especially evident later in the game, as it's required to redo some missions with either the "Subsistence," "Extreme," or "Full Stealth" modifiers in tow. The former drops you in with no items or assistance, Extreme ups the amount of damage you take considerably, and the latter ends a mission automatically if you're spotted. Series regulars will probably remember playing a lot of these higher difficulty levels on their third or fourth optional playthrough, but now they're incorporated into the game itself. I have a feeling these objectives are going to be incredibly polarizing, especially since a few of them took me at least 30 tries to complete. 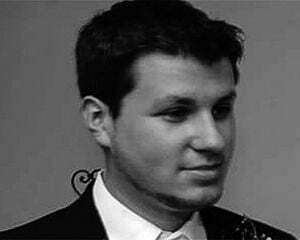 It's a level of dedication that hasn't really been seen lately in the gaming arena, but to me, it's classic Kojima. I powered through these tough and sometimes aggravating sections, and was sufficiently rewarded, both in the sense of storyline progression, and the acquisition of completely new tactics. As a note, I couldn't test the online features of the game, including the base-to-base combat sections (FOB). The story calls for at least one scripted invasion, but I was required to play the game in its entirety offline. 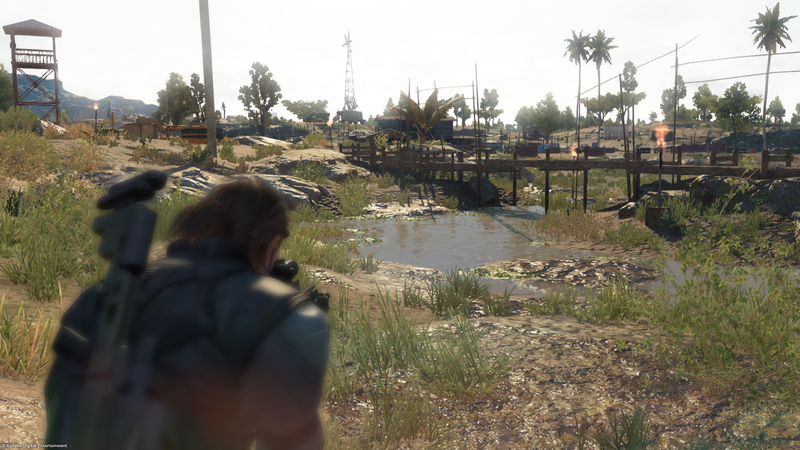 Once Phantom Pain launches we'll provide some impressions of this feature, and we'll provide a separate review for Metal Gear Online, which has been delayed until October 6. Rest assured, the entire campaign can be played offline, beyond the reach of microtransactions or pre-order bonuses.